← It’s the Great Pumpkin, Ted Forth! 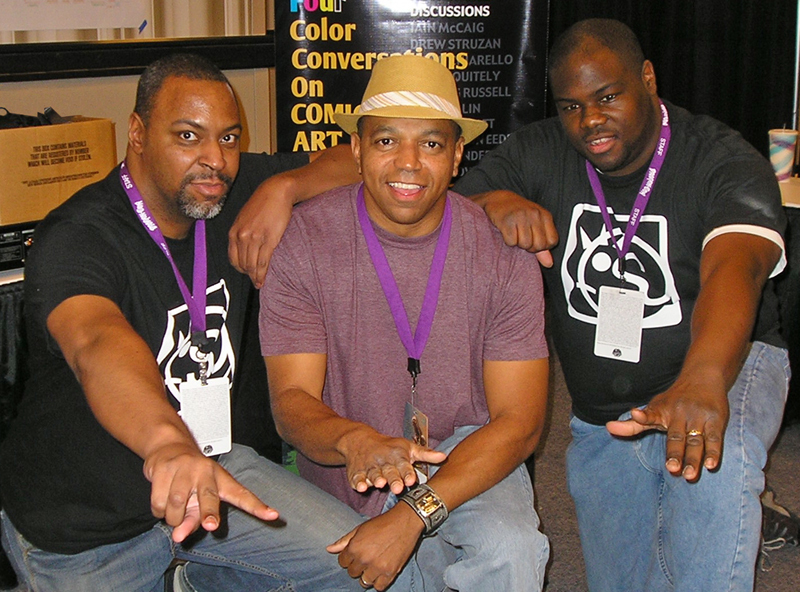 From left to right, Dwight, Swain and Adrian. All good things must come to an end, and so it is the case with the comic art and pop culture podcast, Sidebar. Hosts Swain, Dwight and Adrian’s strengths as interviewers came from the fact that they didn’t just ask questions of their guests – they would have actual conversations. The interview which I discovered Sidebar was with legendary cartoonist, Bernie Wrightson. The interview that got me hooked was with artist George Pratt. The first half of the interview covers Pratt’s comic book and teaching career (fascinating in and of itself), but then by the second half the interview just takes off. You travel deep into the Mississippi Delta as Pratt describes research for a novel (See You in Hell, Blind Boy) and meeting Blues men like Jack Owens and Mississippi John Hurt. If interested, here’s a link to an excerpt of the documentary. See You in Hell, Blind Boy. I met Swain, Dwight and Adrian at Dragon Con 2010 when I was lucky enough to table next to them – and then they were generous enough to interview me. 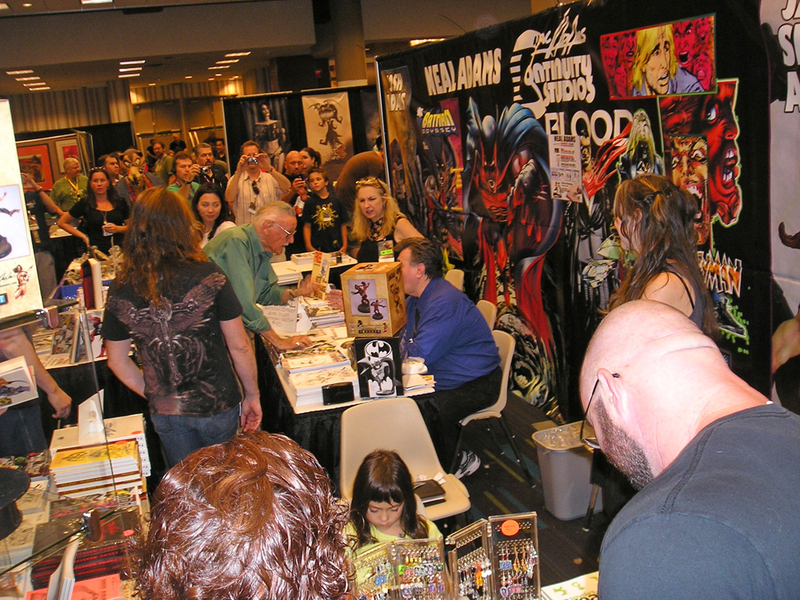 What made that con really memorable was that our tables were right across from Neal Adams. This made for some very memorable sightings. Stan Lee having a quick chat with Neal Adams. Later that same con Sidebar moderated a Batman panel featuring Neal Adams, Paul Dini, Tim Sale and Brian Stelfreeze – it just don’t get much better than that. I could go on and on, but best you check them out yourself if you haven’t already. HIGHLY recommended. And to Swain, Dwight and Adrian – Thanks for all the hard work you put into your show. It was greatly appreciated. Wishing you guys all the best – onwards and upwards! This entry was posted in Ramblings & Reviews and tagged Adrian, Dwight, SideBar, Swain. Bookmark the permalink.